Triple M's cricket coverage makes you feel like you're part of the club. The world moves fast in modern cricket. It's still only 14 years since Twenty20 cricket was just an idea on a marketing manager's notepad. Two years ago, they were still laughing at the idea of night Tests. Only last year was women's cricket first televised on Australian commercial TV. While all this has been going on, Test cricket commentary was still more or less the same old, same old. Your two choices were these: the staid ex-captain's club of the Channel Nine box, or the soothing tones of Jim Maxwell and friends on the ABC. Actually, that's not quite fair to the ABC, who shook up their coverage last summer with some excellent fresh talent. Nine, too, has made some welcome changes this year. But in essence, the choice was still Arthur or Martha. 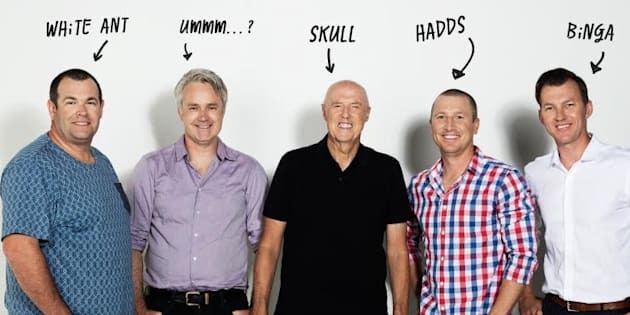 But now the commentary picture has changed along with the rest of cricket, thanks to the launch of Triple M's Test cricket coverage, which you can catch on your local Triple M station, or via the live stream at cricket.com.au. The Triple M coverage brings all the blokiness you expect with a network whose audience consistently has a higher percentage of men than other radio networks. That said, it's the sort of inoffensive good-natured blokiness that should appeal to women too. Subtle point HERE, but there's blokey blokey, which is great fun for all, and there's dickhead blokey, which is not. This is good-fun, seriously entertaining radio. And in one very literal sense, it's not entirely blokey because it has -- shock! Horror! -- female voices and seriously good ones at that. British broadcaster and former cricketer Isa Guha is polished, knowledgeable and fun. Fox Sports cricket specialist Neroli Meadows brings a nice blend of chattiness and straight reporting to her commentary and interviews from the sideline. A reporter on the sideline is of course a staple of radio footy coverage, and much of Triple M's cricket has that footy kind of feel. This is both a strength and a weakness. It's a strength because the vibe is raucous and energetic. But it's a weakness because sometimes it all feels a little boisterous and overcooked. At times there are just too many guffaws and chortles, just a little too much banter about Brett Lee's days as a menswear salesman, just a little too much noise from the effects mic, which seems to have been placed in whatever the Gabba equivalent of Bay 13 is, and turned up REALLY loud. But Triple M has the right idea. A Test match, potentially, is 30 hours of cricket. You'd send everyone to sleep if you spent all that time talking just about cricket, or if you viewed the world through the Ian Chappell lens, droning endlessly about the good old days. Like Channel Ten with its Big Bash coverage, Triple M has a freshness. On Friday afternoon it brought in Powderfinger's Bernard Fanning for a guest stint, as Isa Guha swooned about Fanning's music and the summer of her happiness. Presumably, Fanning called an over from the Vulture Streetend. But Triple M's best selection, and this one is a regular, is Kerry O'Keeffe, who's back to live cricket almost three years after he left the ABC. Kerry was always at his best on radio when he was an analyst first, self-deprecating buffoon second. He's the elder statesman of the Triple M team and appears to be getting the mix just right. One problem with the coverage is there always seems to be one voice too many. There are four people on at any given time, and when you've got Mick Molloy and James Brayshaw and Mark "Howie" Howard and Brett Lee in the box, there's an awful lot going on. A tip for new listeners: learn the nicknames. You will need to know that Brett Lee is "Binga", that Meadows is "Nez", and so on. But that clubby feel is part of what makes it fun. Nine feels like a club you'll never be invited to join. Triple M's Test cricket coverage feels like your best mates are calling the cricket. "You're doing a great job guys, thanks," said Cricket Australia chief James Sutherland when "Nez" interviewed him on Friday. He was never going to say anything else, but he's right. It's only day two after all.